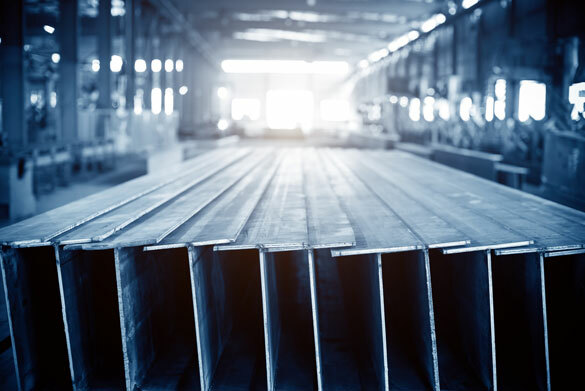 Steel and stainless steel buying organizations have expressed concern to MetalMiner about the potential outcome of the current Section 232 steel investigation led U.S. Secretary of Commerce Wilbur Ross. According to a recent Reuters article, Ross, when discussing the Section 232 steel investigation told a Senate Appropriations Subcommittee last week that, “there is a genuine national security issue,” suggesting his agency would make recommendations that would potentially curb steel imports. He went on to suggest several potential policy recommendations, including: “Imposing tariffs above the current, country-specific anti-dumping and anti-dumping duties on steel products; imposing quotas limiting the volume of steel imports; and a hybrid ‘tariff-rate quota’ option that would include quotas on specific products with new tariffs for imports above those levels,” and intimated that this last option would help mitigate price risk for steel consumers. Ross made several additional comments to allay consumers’ concerns regarding price increases. Ironically, law firm ReedSmith in an article published on April 28, before Ross’s comments, suggested that he may implement this type of recommendation. “It is likely that, should the Commerce Department find an impairment of national security in steel imports, a similar license program designed to limit the total volume of imports of steel would be established, probably coupled with an increase in tariffs or fees,” according to the article on the ReedSmith website. Some have speculated that the forthcoming recommendations would force prices higher, however, we would not necessarily rush to that same conclusion. Our own research suggests that a tight correlation exists between Chinese steel prices and U.S. domestic steel prices. Without a complete import block, Chinese steel prices will still guide world prices for steel. In the meantime, overcapacity threatens more than U.S. steel production and prices. The linkage to national security remains clear – steel producers that supply mission-critical military grades, forms and alloys stay financially viable by keeping their production lines fully utilized (or as close to fully utilized as possible). If those companies cannot survive commercially, their production capacity will eventually be shuttered. Many U.S. producers made this argument in their testimony offered to the Department of Commerce in late May. In China, commercial viability is not a necessary requirement for producing steel. State-owned entities are permitted, and even financed, to stay operational whether or not they turn a profit. Moreover, when the United States freely accepts Chinese imports, it tacitly accepts “dirty steel” because China does not impose the rules, laws and regulations on its steel industry that the U.S. imposes on its own. Meanwhile, according to a different recent Reuters article, the EU and China failed to reach an agreement on solving the overcapacity issue within China. Moreover, China refuses to actually mention the words “steel overcapacity,” nor does it provide any solution as to how the country intends to address the issue. Instead, China insisted that the WTO add clarifying language on MES (market economy status), granting it such status. For more information on China MES, check out MetalMiner’s microsite. Though it is easy to view the Section 232 investigation through the single lens of consumer rights to low-cost steel (and look, the vast majority of MetalMiner readers are “consumers” in this context), we’d argue that lens is too narrow. I have sat in the offices of steel producers who have drawn cost charts and shown me evidence as to how many U.S. steel mills are indeed the most efficient, cost-effective producers in the entire world. But if the U.S. consumer can freely help himself to unfettered cheap imports, we won’t have any U.S. steel production left, nor will we have the alloys, grades and forms of material required by our U.S. military. The linkage is clear – to have access to the materials needed by our U.S. military, we need to have a healthy U.S. steel industry. A healthy U.S. steel industry means a profitable one, too. Hi David – Did you also take a look at MetalMiner’s pricing pages (top menu of website) for current pricing on key metals? You can also become a 2-month trial subscriber of MetalMiner’s monthly metals forecasting report (see forecasting tab on top menu of website). Or try the self-service metals pricing benchmarking tool (benchmarking tab, top of website). Also, did you subscribe to the weekly newsletter ‘Gunpowder’? See top right of this page underneath the main menu section. These are some great free tools that MetalMiner has made available to you. Hope you find them valuable. For plants that require slabs or hot bands for their raw material for toll processing, will the government open the regulations to all for melt shop construction and hot mill construction at sites that have heavy EPA regulations to allow for made and melted in the USA? You asked a great question that truthfully, requires a little more research on our side. My feeling is that the government really wants to address the issue of China overcapacity and will be looking at all of the different ways to do that. You have hit on another issue wrapped into this one re: Made in the USA. I will take it as a to-do to write a follow-up post attempting to answer your specific question above. Thank you! You want to put national security at risk,, then stopping imports will do just that for you. American steel mills can only supply 40% of the steel needed by US Manufacturers. So, save approx. 75000 steel mill jobs at the the expense of 6.2 million manufacturing jobs. Want to screw something up badly, just get the US Government involved. STUPID! Be ready for a trade war. We will all lose! !